The secret’s in the stone! The secret of constructing a successful all-weather arena to enhance the enjoyment of your horse is in the ground works, preparation and the type of stone used. 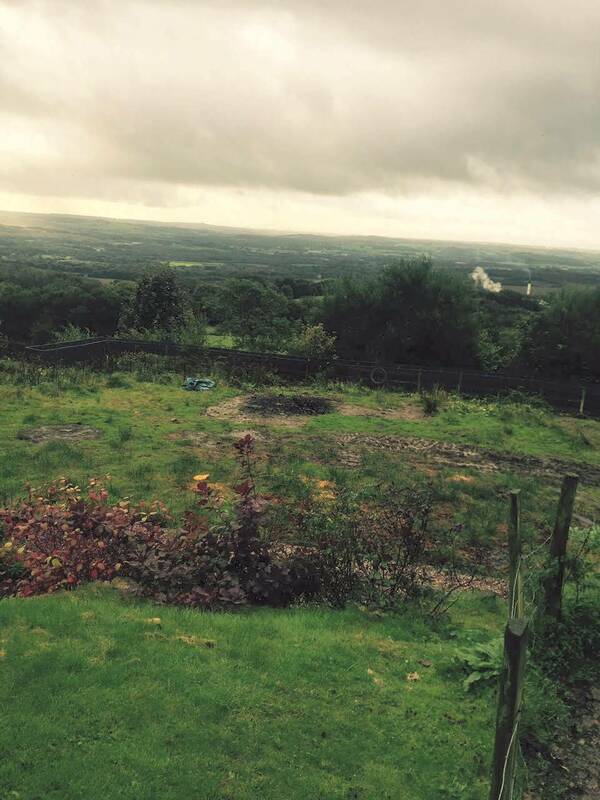 As a quarry owner, Danny has many years of experience & understands the qualities of different types & grades of stone, making him extremely well qualified to advise as to the best stone for your particular job – taking into account your land and what type of exercise area or manège you would like. 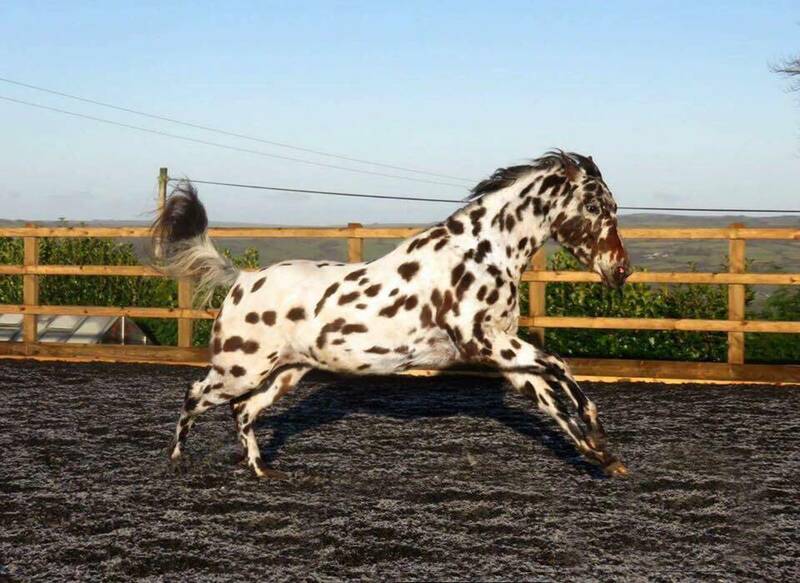 Why not consider a currently unused piece of land for your manege – it doesn’t have to conform to a standard shape or size. The images here show a manege we constructed recently to client’s requirements, on a piece of rough ground at the bottom of their garden. And, although it looks lovely with just the sand, we advised the owners to have a good quality chipped rubber on top of the sand, due to the very windy location. Which surface for my all-weather arena? 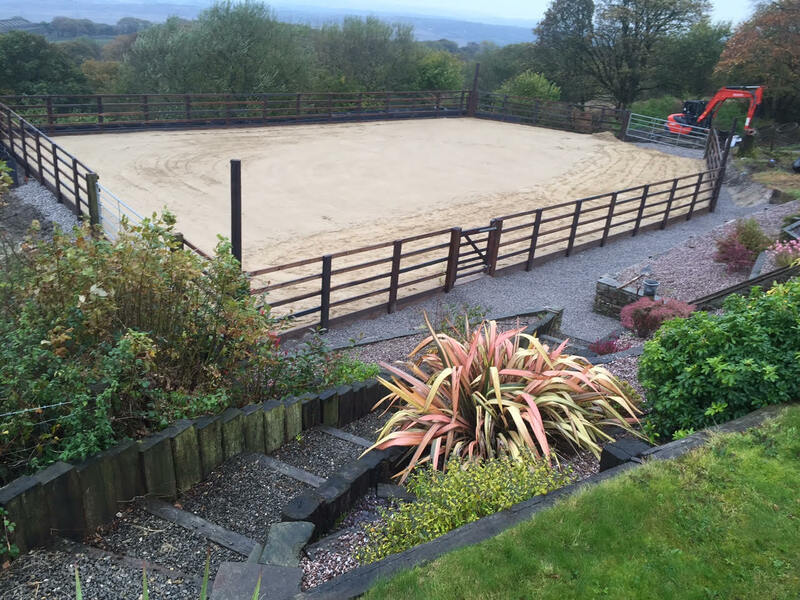 West Wales Equi Arenas can offer a range of different surfaces to suit your situation and your pocket. Danny will be happy to advise you on the merits of silica sand, rubber chip, shredded rubber and other surfaces for your outdoor school. As we don’t manufacture our own surfaces, we can offer an independent opinion and help you to source the surface of your choice. We are an approved installer for Beta-Ride ® arena surface. 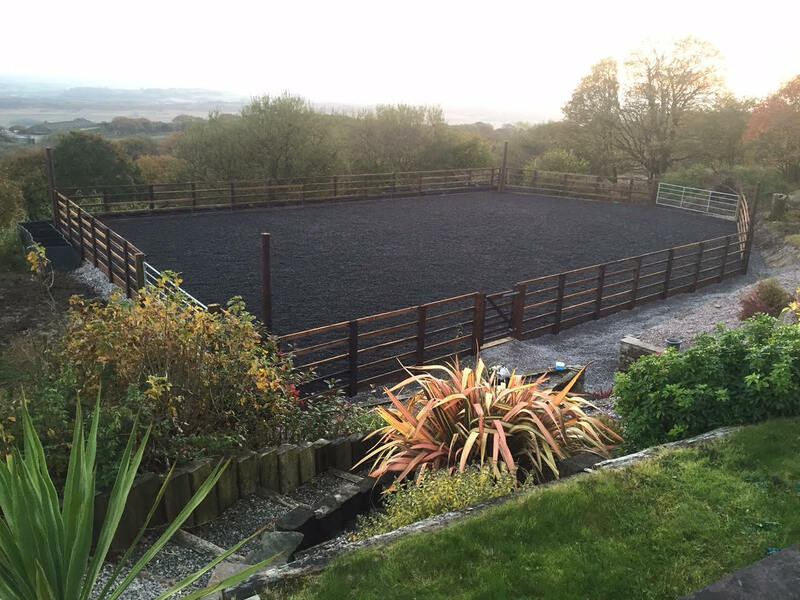 Equi Arenas also supplies & erects all fencing using tanalised post & D rails or creosote fencing with all posts set in concrete. We fence the arenas and tracks etc ourselves and take great pride in the finished project. When it comes to the initial excavation and fencing of your arena, we will advise on what will best suit your land and your set up. 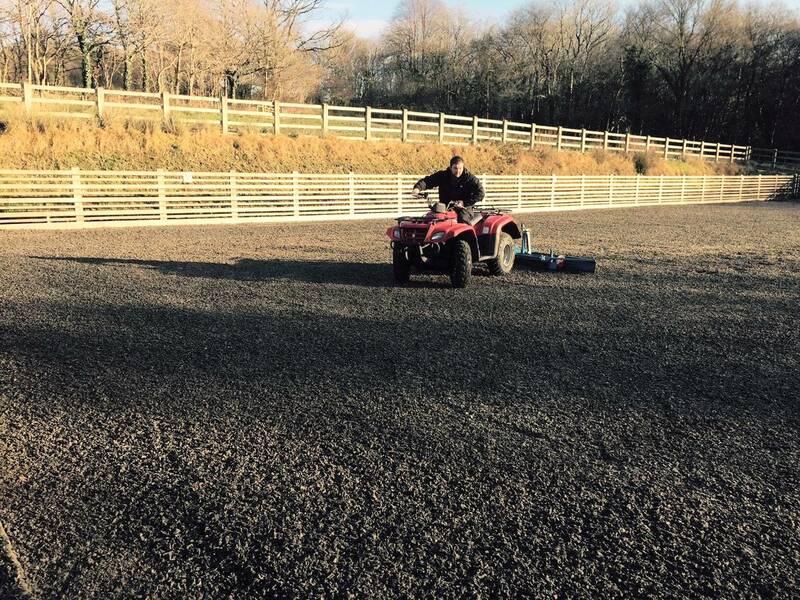 West Wales Equi-Arenas offers a professional grading and maintenance service to keep your finished riding arena, indoor/outdoor school, manège or turnout area in tip-top condition.